Author of "I Saw Your Future And He's Not It". I am a master psychic with 30 years of experience. Let me help you find the love and happiness that is waiting for you. Louise is amazing! I can't thank her enough for her and her advice. She has helped me through many difficult situations. I highly recommend her. Always enjoy a reading with Louise!! Louise is the absolute best! Thank you! I am an experienced Psychic, Spiritual Advisor and Healer, Tarot Card Reader, a gifted Medium, as well as, a crystal ball gazer. I specialize in love/relationships. I have been providing accurate readings for over 30 years. As a second generation Psychic, I grew up around all things metaphysical and learned how to appreciate and use my gifts from my beloved mother, who has now passed on. As a true Spiritualist, I believe in, and have witnessed, the tremendous power of spirit healings. Allow me to be your personal Guide on this journey and I will direct you to the path you are destined to follow. Let me help you find the love and happiness that are waiting for you. 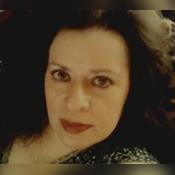 To contact me for a reading, simply press my KEEN button or dial 1-800-ASK-KEEN (275-5336) extension 04268439. Louise Helene the Psychic has been a user of Keen since 2010. Getting Love & Relationships advice from Louise Helene the Psychic through www.keen.com is safe, secure and confidential.